Nirmal Gangwal is the Founder of Brescon Corporate Advisors, one of India’s leading institutional player in stressed assets advisory business for almost two decades. As a specialist in financial turnaround, he has guided more than 100 corporates across diverse sectors in resolving liabilities of more than USD 15 bn, in both their stress as well as growth phases. Known for his ideation of innovative resolution strategies and creating value propositions for the corporates as well as the creditors, he has established himself as an acclaimed expert on stressed asset resolution. Nirmal has many firsts to his credit including first successful entry & exit under the Corporate Debt Restructuring Mechanism of RBI and conceptualising the development of the “Risk Return Matrix” to demonstrate varying perspectives of risk and rewards in special situations. Prior to starting Brescon, in the capacity of the Managing Partner of a CA firm, he drove the practices of Audit, Taxation, Company Law and Project Finance for about 15 years. 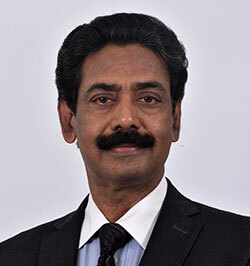 He has served as a director on the boards of several reputed corporates. Nirmal is a Chartered Accountant and a Company Secretary with a Law degree. Mr. N.S.Rao has 30 years of commercial banking, venture capital, merchant banking, investment banking, financial restructuring and turnaround consulting experience both in India and abroad. 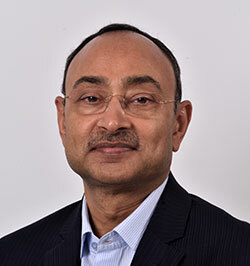 Mr. Rao worked with Canara Bank, CanBank Financial Services, CanBank Venture Capital Fund in India, and was Senior Intern of World Bank at Top Technologies LLC, London, UK and was Country Head (Managing Director) India, for a Florida (USA) based IT Services Company, Pardeshi.com. He led several VC investments in diverse sectors few which have recorded highest growth rates in Indian Venture Capital sector. Mr. Rao, has been with Brescon over 15 years and has led several large projects debt syndication advisory, lead managed public issues and had undertaken few of the earliest stressed assets restructuring in the country. Currently, overseeing Stressed Assets Resolution, Restructuring and Recapitalization and had carried out transactions worth over INR 350 bn and large projects Syndication, over INR 50bn. Mr. Rao has Masters in Economics (MS) and Post Graduate Diploma (PGDIM) from International Management Institute, India, with an outstanding academic record and several scholastic awards throughout including being GSE International Scholar as an Outstanding Young Professional.